Alone, as a free diffusive tracer. Xenon enters in the cells in ~30 ms without losing its hyper-polarization. 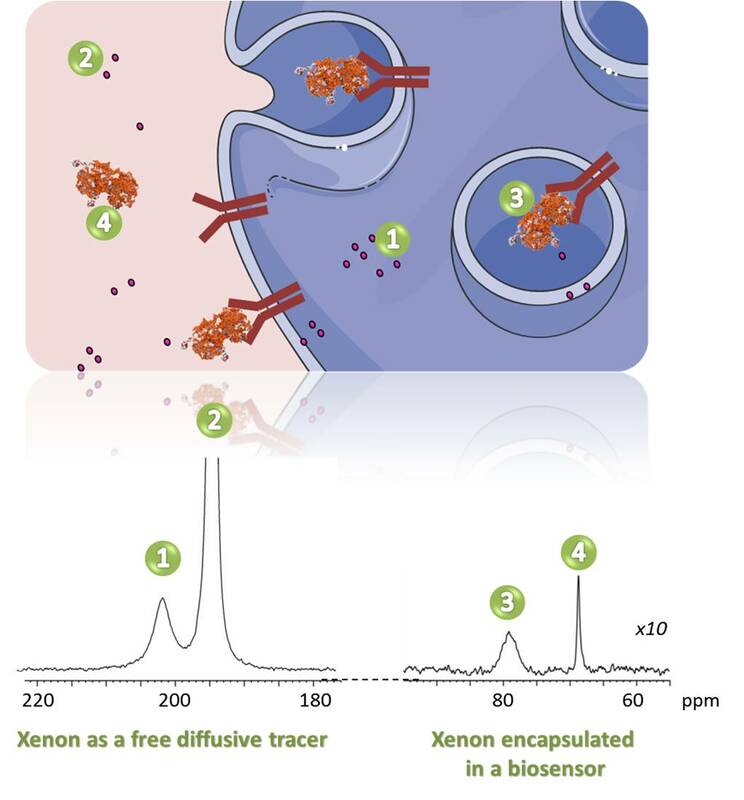 Xenon interacting with living cells gives rise to a specific NMR signal in the 200 ppm region. The chemical shift and the intensity of this signal are correlated to the nature of the cell line, the viability and density. Encapsulated in a host molecule to detect a specific biological mechanism, for instance, the internalization process of transferrin. The biosensor has been obtained by the grafting of cryptophane moieties to the transferrin.